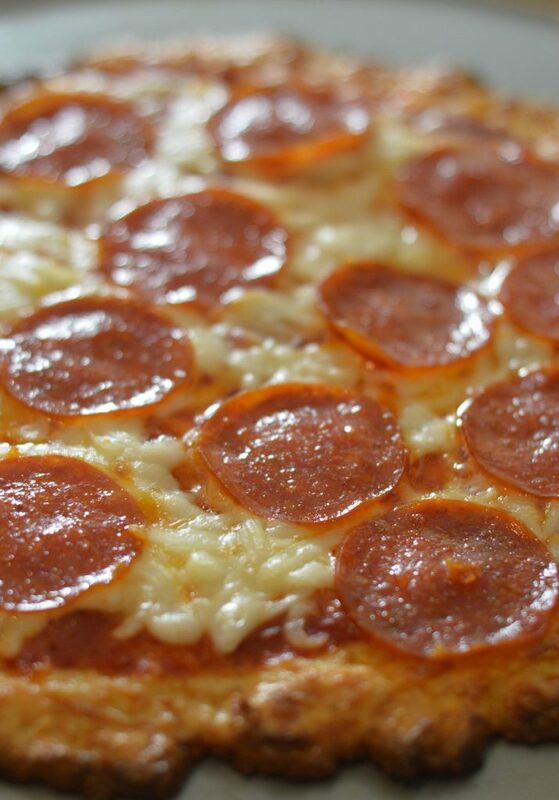 This Keto Pizza recipe is the perfect keto diet meal for lunch, dinner or even a filling snack! I did it, ya’ll. This week I hopped on the keto diet train and have been full force keto since. One thing I have learned since starting keto is that the amount of people on the keto diet is unbelievably huge! Seriously, it seems like everyone and their mothers are on the keto diet these days. And since I have started keto, I have been in the kitchen cooking ALL things keto! You all know I love to cook, and eat, so making delicious/eating delicious meals is a must for me. I will not want to stay on this keto diet if I am hungry and not eating well. So, expect many keot recipes coming your way in the future. First up is this delicious Keto Pizza Recipe. Another requirement for my keto eating is the recipes needs to be simple!! Take a look at the video above and you will see how easy this keto pizza was to make! And now, for the moment you all been waiting for, below is the recipes and nutritional facts! Preheat your oven to 450° Spray pizza pan with nonstick cooking spray. In a microwave safe bowl add the mozzerella and cream cheese, then microwave for 30 seconds. Remove and stir. Place back in the microwave for 30 more seconds. Quickly add the rest of the ingredients for the crust and stir until all is mixed together well. Pour on your pizza pan and spread out the mixture into the shape of crust you prefer. Cook in the oven for about 10 minutes or until the crust begins to brown a bit. Remove from the oven and add toppings. Place back in the over about 5-7 minutes until the cheese has melted. Remove and enjoy!